Universalisation of Elementary Education (UEE) has been unequivocally accepted as an objective in all countries which have still not been successful in bringing all its school going children into the fold of a formal system of education. As an integral part of ‘right to life’, a life of self-respect and dignity, ‘right to education’ was recognised as a fundamental right by the Supreme Court in 1993 itself (Unnikrishnan Vs State of Andhra Pradesh) but it took almost 16 years for the Constitution to be amended and the Right to Education to be enacted as a justiciable right in 2009. Despite its limitations, one of which is the most obvious exclusion of children under six and those above fourteen, it needs to be celebrated and mechanisms put in place to ensure that all children get good quality and meaningful education that they rightfully deserve. It must be noted that ‘inclusion and equity’ have several meanings in the context of education- all children, irrespective of their age, gender, region, religion, caste and class etc are able to access education (complete school cycle) of a formal type as against a part-time, short-term or non-formal education; all children receive an equitable, uniform and good quality education and; there is adequate and proper representation in the curriculum, syllabus and textbooks of the lives, experiences and worldviews of children studying in those schools. While the myriad meanings that ‘inclusion and equity’ imply are acknowledged by almost everyone, there are still innumerable challenges in translating them into reality. India on one hand revels in its rich geographical and cultural diversity and on the other hand, moans its deeply divided and hierarchical nature. With its multiple social contexts, a child has several identities and not all of them are a matter of pride to him because of the social placing of pegs (class, caste, gender, religion etc) onto which those identities are hinged. For instance, being an upper class, upper-caste, urban male is certainly considered to be superior to being a female, or belonging to a working class, low caste or tribal. While it is well known that there are complex ways in which these multiple identities actually interact with each other in real lives of these children, what is disturbing is the perpetuation of these social inequalities in the education system. TTA conference on education entitled “Educationext-The Way Forward” held in Delhi earlier this year, the Minister for Human Resources Development Shri Kapil Sibal, in his inaugural address, launched the idea of India as "the Education Super Power of the Future". I could see that if used successfully these strategies could transform education in the country and make it the strong and powerful engine of advance that the country desperately needs in order to be able to forge ahead in today’s highly competitive global economy. A four point program was outlined in the conference : (i) increasing enrolment in higher education from the existing 12.2 per cent of the population of the relevant age group to 30 per cent by 2025. (ii) the introduction of hundreds of new courses. (iii) the massive use of modern technologies for the delivery of education. And (iv) the inclusion of private players and the corporate sector as partners in the provision of education. (2) The proliferation of cloud computing. (3) Open education, provided through information technology highways. (5) The creation of a communications structure designed to give students exposures such as hands on work experience, laboratory experimentation and research. Finally to start with, 2.5 lakh villages will be connected with the use of fiber optics to create a powerful information highway. It is popular, both in current casual and serious discourse, to talk of a trust deficit in the interaction between the people and the state. The nature of a relationship between an institution called the State and its citizens can only be in the nature of a social contract. This definition and expectation of trust, is an act of faith and takes away from the equal, causal and rational relationship that democracy seeks to establish through its systems. If we look at some of the essential requisite of democratic institutional structures; to send representatives to panchayat, assembly and parliament, there is implicit in the election process an obligation for representatives to be accountable for their actions. We transfer our sovereignty under contract and constitutional obligation to perform in accordance with the promises made to us. The act of faith and trust seems a misplaced concept in the relationship between the citizen and the State. One quarrels even with Gandhiji’s dream of a just relationship emerging through ‘trusteeship’. It is not possible in any, but in an Utopian society. In the Indian political context of democracy and governance, skewed by caste, class, gender and religious prejudices, with layers of identities and divides, a concept such as trust would do well to be left alone - to individual and intimate relationships. It is this growing recognition which led people to a serious assessment of the way governments function, and the nature of power relationships, influenced by feudal social norms, colonial administrative patterns and the emerging pattern of neo socio-political-economic vested interests. The demand for rights is the sum of the current understanding of this obligation of the State. It is under contract to its people through the vote, and promises made on assuming office. A people cheated of equality in the conception of policy, legislation and implementation, in the discharging of democratic and constitutional obligations often by an indifferent and often callous State; cannot but see the relationship with the State, as a contractual relationship, monitored by transparency and accountability, at every step of governance. People’s Movement, a Quest for Inclusive Democracy? Churchill defined democracy as “the worst form of government except for all those others that have been tried.” Democracy, the least bad system, has been the flavour of the 21st century. According to Amartya Sen, “democracy remains the only system of government that commands global respect.” Ironically, democracy is in trouble in many places, even as its triumph is proclaimed. There is a lot of backsliding in a number of electoral democracies as well as setbacks in countries that experienced democratic revolutions following the collapse of the Berlin Wall. Larry Diamond, author of The Spirit of Democracy, calls it “democracy recession.” There is also consolidation of dictatorships among authoritarian rulers wary of democratic advance in their neighbourhoods. Even though democracy is not yet ‘sell-by-date’, we may have progressed democratically but democracy is regressing. The dominant oligarchic system of representative democracy cannot be equated with democracy itself. Many democracies have simply become Polyarchies. One of the major problems with representative democracy is that the business of government has become the privilege of the few. Representative democracy emerged in the 19th century in countries that had experienced an industrial revolution. Given the context of unprecedented production levels, representative democracy came to symbolise development and progress. The experience suggests that instead of becoming a bridge between state and society, representative democracy has practically become statist which ends up excluding the vast majority of the population from political power. Representative democracy is leading to oligarchisation of political system. Each of you reading this article is a criminal and should be jailed for up to three years. Yes, you. “Why?,” you may ask. Have you ever whistled a tune or sung a film song aloud? Have you ever retold a joke? Have you replied to an e-mail without deleting the copy of that e-mail that automatically added to the reply? Or photocopied pages from a book? Have you ever used an image from the Internet in presentation? Have you ever surfed the Internet at work, used the ‘share’ button on a website, or re-tweeted anything on Twitter? And before 2012, did you ever use a search engine? If you have done any of the above without the permission of the copyright holder, you might well have been in violation of the Indian Copyright Act, since in each of those examples you’re creating a copy or are otherwise infringing the rights of the copyright holder. Interestingly, it was only through an amendment in 2012 that search engines (like Google and Yahoo) were legalized. It is now well established that economic growth and prosperity in India has generally bypassed a large number of marginalised and disadvantaged people such as the dalits, adivasis, nomadic tribes, women, slum and pavement dwellers, the disabled and old people, and people living in remote areas, who have remained voiceless and ignored. The crux of such a hopeless situation for them lies in their inability to access and retain their rightful entitlements to public goods and services due to institutionalised structures and processes of exploitation. Excluded groups are disadvantaged in many ways. They are victims of prejudice, are ignored, and are often treated as less than human beings by the village elite and government officials. They live in remote hamlets and are thus geographically separated from the centres of delivery. Their hamlets are scattered so that the cost of contacting them is higher. Finally it is their extreme poverty that prevents them from taking advantage of government schemes, whether it is free schooling (children are withdrawn because their labour is needed at home or for work), or immunization (they migrate along with their parents and therefore not present in the village when the health worker visits). The 12th Five Year Plan, as expected, gives a high priority on paper to inclusive growth and reduction of inequality, but the past trends have not been very encouraging, as inequality seems to be going up, and the much needed policies and programmes for the disadvantaged are still to be put on ground. This vision is inscribed on the cover of the Report and constitutes its leitmotif. There is no way in which the aam admi, let alone the poorest Indian, can have a sense of belonging in a Parliament in which his MP represents 15-20 lakh others, or an effective voice in decisions are taken in remote State capitals or Delhi, let alone even in the inaccessible reaches of the Collector’s office. 65 years after Independence, almost every Indian feels alienated from the political and administrative process, the sense of alienation being the greater the lower down the economic scale and social hierarchy that person finds himself or herself in, and also the more distanced he or she is geographically from the imposing Bhawans where his or her future is decided. Six and a half decades of democracy leave most individuals as distant from having an “effective voice” in the making of their country as their parents and grandparents were under colonial rule. Whether or not there exists a standard definition of the term Globalization, there is a broad agreement with the fact that the process of Globalization has had and continues to have profound impact on various aspects of human life. Globalization is not a new phenomenon for it has been a long-term gradual process of change, which affects every aspect of human life and being affected by the human enterprise, since the days of Columbus, and yet at the same time it is irregularly punctuated by episodes of dramatic change. Ever since the Columbian voyage initiated the process of intermingling of the continents of Europe and the Americas, Globalization has been influencing and reshaping every part of the world in all aspects of human life – social, cultural, economic, political, biological and ecological aspects. In the recent past, there were two intense periods where the process of globalization induced dramatic changes across the world. The first wave happened in the late nineteenth century up to the First World War, which was characterized by extensive trade networks across various continents under European Colonialism. The second wave happened in the twentieth century, starting from the 1980s to the present day, characterized as free market Capitalism led by the phenomenal development of the financial markets, and called as the financialization phase of Globalization or simply Financial Globalization. Participatory Note (PN) is an instrument issued by registered Foreign Institutional Investor (FII) to investors abroad, who want to invest in Indian stock Markets without registering themselves with the market regulator, the Securities and Exchange Board of India (SEBI). Trading through PN is easy because these are like contract notes which are transferred through endorsement and delivery. PN are said to constitute 15-20 percent of cumulative investments by FIIs. In 2007 SEBI had proposed curbs on PNs. This led to immediate reaction and the markets came cradling down. In view of this sharp reaction, the proposal was shelved. PNs are mostly used by overseas High Net Worth Individuals (HNIs), hedge funds and other foreign institutions. These instruments allow them to invest in Indian markets through registered. Foreign Institutional Investors. (FIIs). These save time and costs associated with direct registrations According to a news agency report, SEBI data shows foreign investment into Indian markets through PNs rose to 1.64 lakh crore rupees (USD 30 billion) in February 2013. In January 2013 PN investment in Indian market was 1.62 lakh crore rupees. Investment into Indian shares through PN was Rs 1.77 lakh crore rupees in November 2012 and 1.75 lakh crore rupees in October 2012 on policy reform measures taken by the government and its initiative to address tax related issues. The quantum of FII investment through PNs increased to six month high at 12.33 percent in February 2013 from 11.83 percent in previous month. This was the highest figure since August 2012. Until recently PNs used to account for more than 50 percent of total FII investments but their share has fallen after SEBI tightened its disclosure and other regulations for such investment. Since 2009 PNs constitute 15-20 percent of FII holdings in India, while it used to be 25 to 40 percent in 2008. During 2007 PNs share was as high as 50 percent. Carbon Trading refers to the buying and selling of the right to release carbon dioxide or greenhouse gases into the environment by various countries. The carbon trade across the world began in 1997 with the signing of Kyoto protocol in Japan by 180 countries. The Kyoto protocol called for 38 industrialised countries to reduce their greenhouse gas emission. Growing environmental pollution across the world has been a cause of concern to everyone. Rapid development and industrialisation have only added to the problem. Carbon is an element stored in fossil fuels such as coal and oil when these fuels are burnt, carbon dioxide is released. Carbon trading is like any other market trading. Carbon has been given economic value allowing people, companies or nations to trade it. If a company purchases carbon, it gets the right to burn it. Similarly, the country selling it, gives up the right to burn it. The carbon’s value is based on the ability of the carbon owning country to store it and prevent it from release into the atmosphere. A watershed event in human history took place in 2008, when the urban population of the world outnumbered that of the rural. Cities, which occupy a miniscule 0.05 percent of the earth’s surface, are projected to hold an immense 80 percent of the world’s total population by the end of the twenty-first century. In India too, the rate of urbanization is unprecedented and two-thirds of the commercial and high-rise residential structures that will exist in the country in 2030 are yet to be built. This urban sprawl is creating unique challenges related to the natural environment. As a result, to prepare for the coming decades, policy makers need to think innovatively about planning for and taking action on a range of issues from ecological and energy implications to protecting public health. The current urban sprawl and unparalleled demand for the construction of buildings is also creating vast opportunities. Buildings already account for more than 30 percent of India’s total electricity consumption. Looking ahead, India’s building sector is expected to increase five-fold from 2005 to 2050. India is thus at a unique crossroads with a singular opportunity to lock in energy and cost savings for the next several decades by implementing energy efficiency in buildings that are being constructed now. The imperative for efficient construction is much more crucial than the individual savings from which owners and end-users benefit. India’s total energy requirement is projected to grow at 6.5 percent per year between 2010-11 and 2016-17, to support the country’s projected 9 percent growth rate. The meeting of this energy demand, however, is fraught with the challenges of peak electricity demand shortages, dependence on energy imports and vulnerability to the volatility in international energy prices. Furthermore, India is en route to becoming the world’s second largest emitter of greenhouse gases and is already experiencing the adverse impacts of climate change. Each of these challenges can be addressed significantly and effectively by making energy efficiency a central plank in the country’s long-term growth planning. “I never teach my pupils; I only attempt to provide the conditions in which they can learn” says Albert Einstein. He is one among the several personalities who served the mankind with dyslexia. Dyslexia was discovered in the west very long ago. The history of disability can be traced back to the work of Straus and Lehtinen who wrote a book titled “Psychopathology of the Brain Injured Child” in 1947. The official beginning of the learning disability movement was started in 1963 when Dr. Samuel Kirk delivered an address to a group of parents to from the association for children with learning disability. 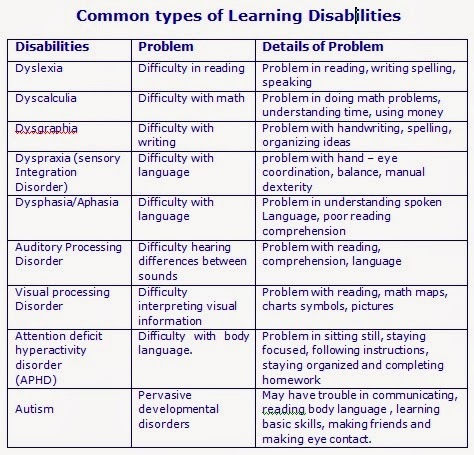 The field of learning disability developed in United States during 1960’s and 1970’s.